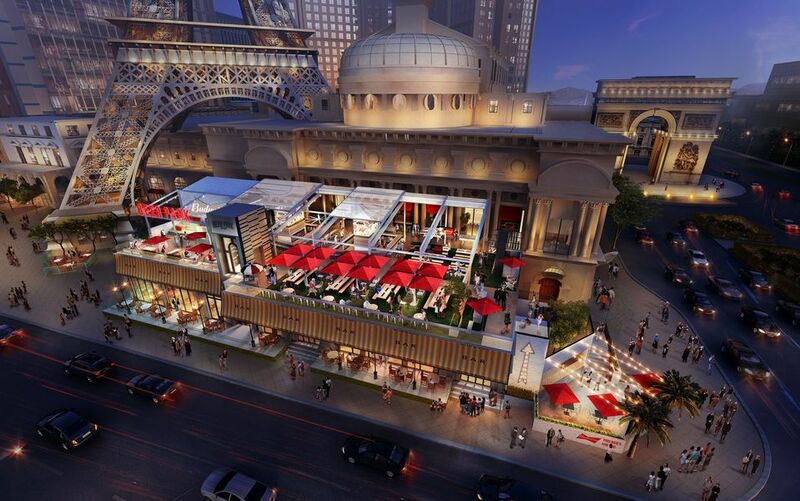 The beer garden concept has been making its way around Las Vegas to varying degrees of success. Umami Burger at SLS has one, and there's one downtown at Plaza. 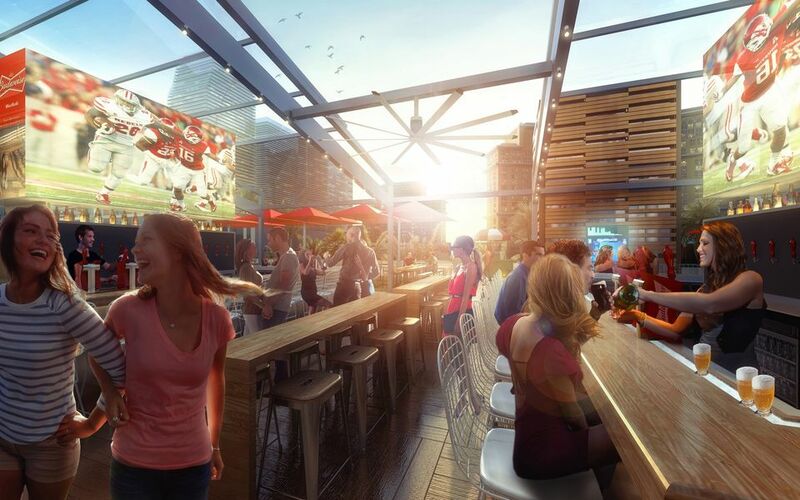 A beer garden is also being planned for the new MGM Resorts Park development. 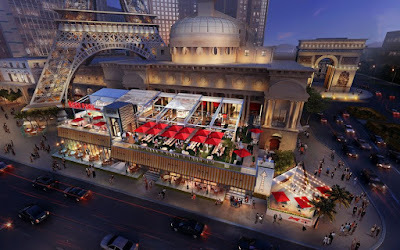 This week renderings have been making the rounds of a new beer garden planned for Paris Las Vegas that will be taking over the Chateau Nightclub space. 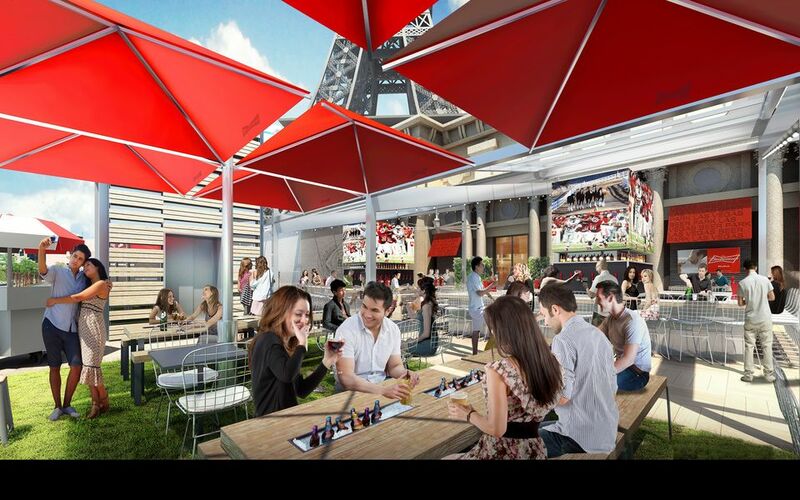 Beer Park by Budweiser will essentially be a huge indoor-outdoor sports-bar featuring 100+ brews (likely all Bud brands). On paper the beer garden concept seems like a good idea. Cold beer, sports on TV, outdoor bar space. All that stuff is great but there's something about it that doesn't seem to fit into Las Vegas in my mind. It will be interesting to see how these concepts play out in the coming years.